Waihi Beach is a popular destination in both summer and winter with its sun, surf, fishing and amazing white sand beaches. A short drive away from hot-pools, bush walks, day tramps and bike trails. Bring your own bikes, there is storage available. You can do day trips to the wider Bay of Plenty and Coromandel area. 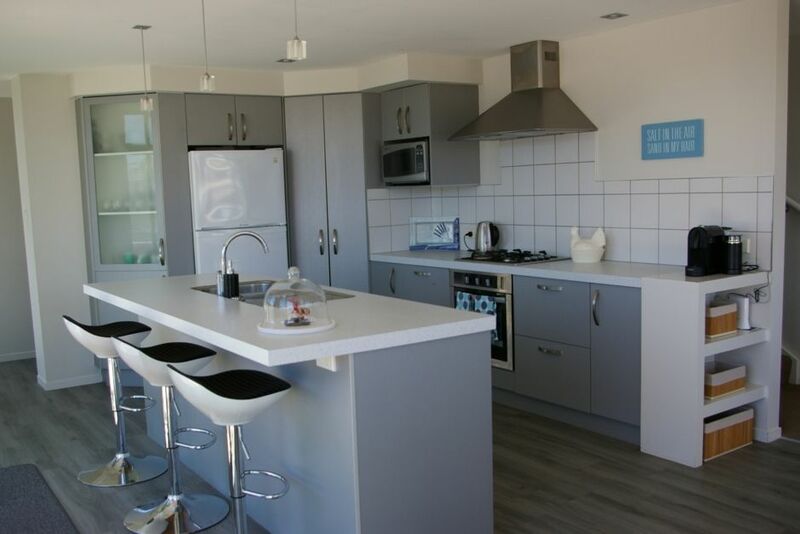 Being in such a central location the option are endless, stroll into Waihi township and renowned cafes and restaurants or lay back and enjoy the sun drench private decks on two levels of this modern home away from home. Please note you will occupy the top 2 levels of the house and I live on site down below. To help you on your last day and ensurer the property is in top condition for every guest a mandatory departure cleaning applies to this property the fee is additional to nightly rate. The property is not suitable to toddlers or persons who find it hard to climb stairs as their are internal and external stairs There is a stream running along the back of the property, which isn't fully fenced. Strictly no smoking inside or on decks. No need to use your car you can just walk or bring your bikes. Karitane Nurse (Qualified) Nanny babysitter available on request. We all really enjoyed our stay, the house was well equipped, beautifully presented and comfortable. Great location for both beach and shops and a Janine made us very welcome. Would definitely stay again. Fantastic clean modern lots of room and close to beach. I would stay there again. Very nice large rooms. Very clean. Lovely host. Very pleasant stay. Thank you. House was excellent ,modern, so very clean and tidy. Has everything you would need for cooking, washing, cleaning, and entertaining. Superb spot within easy walking distance to shops, beach ect . Highly recommend the house and Janine. It is very nicely furnished. It is very nicely furnished. Great outlook, handy to the shops and the beach. We had 3 couples staying, with another 3 over for evening meals. Plenty of room for us all. Beds were very comfy. An all-round great weekend, in spite of the rain! Beautiful property, so close to everything and beautifully decorated! Beautiful property, so close to everything and beautifully decorated! Highly recommend!